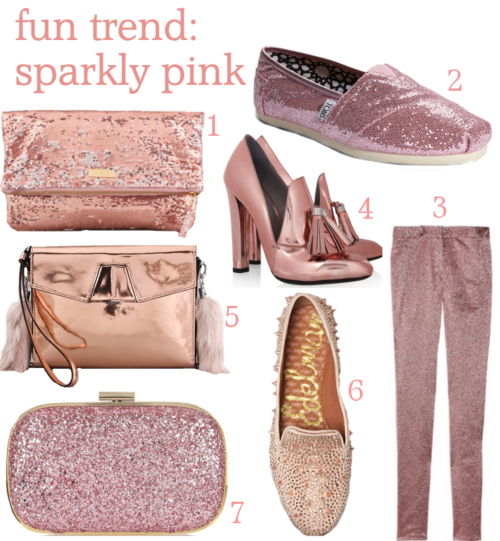 I’m tickled pink over this fun new trend of sparkly pink accessories (and pants)! A great statement piece that seems to be showing up everywhere in my go-to online boutiques! Here are some for you to check out – how would you wear it? PS: Alexander Wang is killing it right now!